Casting calls are out in New York for “Sweetbitter” which is exec produced by Brad Pitt. 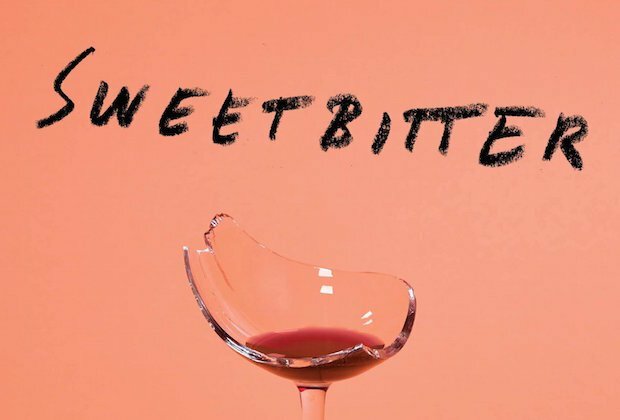 Starz has picked up another season of “Sweetbitter” and the TV series is currently in production in the NYC area. The new show is based on Stephanie Danler’s book of the same name which was published in 2016. Starz gave a straight-to-series order for the show which will comprised of 6, 1/2 hour long episodes. The project has been in the works for just a short time and the network brought it together in 2017. “Sweetbitter” follows the story of a young woman who moves to New York City where she quickly gets introduced to the fast city life. The central character is named Tess and she lands a job at a popular downtown NYC restaurant. The books author, Stephanie Danler also wrote the pilot and Stu Zicherman (The Americans, The Affair) is executive producing along with with Plan B Entertainment. Emmy winning writer-director Richard Shepard, who directed many episodes of Girls, is directing the pilot and Donna Bloom will be producing the first 6 episode season of the show. Actor Brad Pitt is also serving as one of the show’s executive producers. According to Deadline, Tess quickly finds herself introduced to the world of drugs, alcohol, love, lust, dive bars and fine dining, she learns to navigate the chaotically alluring yet punishing life she has stumbled upon. It is a story of a young woman’s coming of age, set against the rich and grimy backdrop of exclusive restaurants, evoking the possibility, beauty and fragility of being young and adrift. The show is now casting extras in the New York area. GWCI is seeking NONUNION to portray upscale restaurant patrons. 30s – 60s. NEW FACES! Works 12/5 on the Starz series SWEETBITTER! Shoot date is Monday 12/5. Filming in Brooklyn. Interior work. Must have FULL DAY AVAILABILITY. Must be 18 years old or older. -Have you worked on the show before? If so when and as what? -Do you own an upscale wardrobe that you would wear to an expensive restaurant for dinner in Manhattan? -Please attach current pictures (preferably one in upscale attire) that depict your current look. GWCI is seeking NONUNION to portray Edgy Concert Goers at Club . 20’s – 30’s. Works in Manhattan on 12/4. Interiors. PLEASE DO NOT SUBMIT IF YOU WORKED ON SWEETBITTER THIS SEASON! Here is the requested Wardrobe: hip downtown crowd out seeing a band at a club. jeans, mini skirts, heels, boots (fedoras and trucker caps were both very popular) Do not be afraid of color or black but avoid wearing all white. When in doubt, jeans and t-shirts always work. -Current NON-PROFESSIONAL photo to show us your current look in an outfit you”d wear to a Rock Concert/Club or Bar! – If you worked last season, let us know when and what role!! GWIC is seeking NONUNION to portray indie rock concert goers. 20’s – 30’s. Interiors.Works in Manhattan on 12/4 on the Starz series SWEETBITTER! Shoot date is Tuesday 12/4. Filming in Manhattan area. Interior work. Must have FULL DAY AVAILABILITY. Must be 18 years old or older. -Do you own a wardrobe that you would wear to an indie rock concert? Be sure to check out all the casting auditions going on in New York City. I am very experienced and I live in the New York area. I can shoot any day you need me. I have a you tube called trouble man mercy episode 3, thank you, carol whitaker.